November 22, 2016 November 16, 2016 by Beau H.
So, we ran into a bit of a conundrum last week on The Style Guide when we talked about how to dress for a casual fall day. We’re nearly through November, and the weather’s been so up-and-down … how does one dress to meet those demands? And if you’ve got to switch from casual fall style to sharp fall style, just how do you do it? Particularly, how does one dress in business casual fall style? Maybe your office isn’t the type of place where a suit and tie is required (it seems few offices are nowadays) — heck, maybe it’s a place where a collared shirt isn’t needed all that often. But let’s say you want to up your game going into a prime cold-weather dressing season — or perhaps, you just need an excuse to refresh some business casual style staples. Now, we’ve talked about how to dress for a business casual office in the summer, but dressing for the fall is a bit different — for starters, you’ll be needing another layer or two depending on the weather. What other #OOTD tips do we have to share? Well my friends, you’ll just have to read on below. 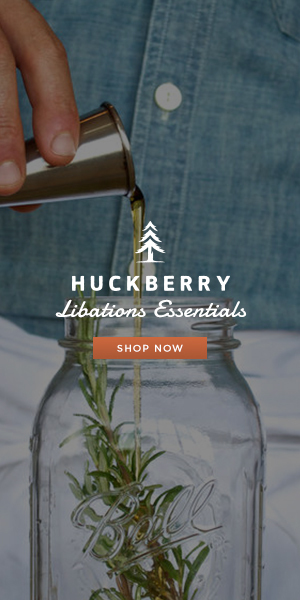 Oh, and if you’re scrambling for something to wear for Thanksgiving later this week? A few of the below pieces will come in just as handy for turkey time as they will for your next office meeting. Keep up with The Style Guide (AKA yours truly) on the daily via Twitter and Instagram, and leave any suggestions for this ensemble in the comments below. Deal? Deal. Can you go wrong with a navy jacket & khaki five-pocket pants? Hardly. The Jacket: Taylor Stitch Telegraph Jacket in Navy, $219.98 — Make no mistake, this jacket features a bit of a unique fabric blend, especially in chilly weather — textured wool & linen chambray aren’t exactly a regular fall combo. But for a four-season jacket with modern styling potential, it doesn’t get better. The Topcoat: Old Navy Tweed Topcoat, $124.94 — If you were worried about staying warm on a chilly November or December day, don’t be. This Old Navy tweed topcoat is a heck of a bargain and features a nice fit. The Shirt: Bonobos Jetsetter Dress Shirt in Solid Light Blue, $128 — With a range of customizable options — from the collar to your choice of pocket, plus a dialed-in Bonobos fit, this is a classic dress shirt — a tad pricey, but very solid. Note that we’re ditching the tie, but I’d say you should accessorize with a crisp textured pocket square. The Pants: Flint and Tinder 365 Khaki Pant, $98 — OK, so you’ve got a sharp jacket and a stylish dress shirt covered … but your office is too casual to go with a full-on suit. Reach for a tailored pair of crisp five-pocket pants — versatile, slim-fitting and equally at home in spring or fall. The Shoes: Johnston & Murphy Duvall Wingtips, $99.99 — While you could also go with a pair of classic leather chukka boots here, sharp wingtips are just as appropriate and lend a bit of polish to this ensemble. The Socks: American Trench Merino and Cashmere Fair Isle Socks, $19.98 — Merino AND cashmere, you say? It’s a heck of a luxurious combo for socks, and these ones from American Trench should feel comfortable while fitting great. The Watch: Armogan Spirit of St. Louis Chronograph, $194.98 –Watches from Armogan work particularly well for business casual situations, what with their crisp designs and slightly larger (and thus more casual) case sizings. Case in point — the Armogan Spirit of St. Louis Chronograph. The Gloves: Hestra Edward Sheepskin Wool Lined Gloves, $125 (Available via East Dane) — Hey, we said it’d be cold, right? What better way to fight the chill in style than with a pair of rich brown leather gloves? So, if you still feel like you’re not ready to dress for fall in business casual style, I’d suggest you snap up one or more of the above picks. Particularly when it comes to a crisp, sharp jacket like the Taylor Stitch Telegraph Jacket, you’re getting a piece that can work in multiple seasons with just a few extra layers. And that’s just as true with the ever-versatile Flint and Tinder 365 Khaki Pant — casual enough for a laidback office, and at home on a fall or spring weekend. When you throw in accessories like beautiful merino-and-cashmere Fair Isle socks and a handsome chronograph watch, you’re looking at a complete fall outfit. Got questions? Send me an email or drop us a line in the comments — and let me know how it works for you! September 28, 2016 September 24, 2016 by Beau H.
Editor’s note: Head over here to see more men’s style suggestions for all sorts of situations. Most guys consider how to dress for various occasions — that all-important first date, or an important day at a business casual office. But off-duty, there’s a tendency to reach for whatever’s easiest or readily available. That’s certainly seems to be the case with dressing for the gym, where you tend to run into fellas wearing cut-off tees that are simply too small, or else gear that’s seen better days (that goes for beat-up sneakers to tees and beyond). If you’re just fine wearing your trusty tee to the gym, go for it. But if you want some new, fresh gear that looks clean and simple while performing like your a true piece of workout apparel, you’re in for a treat today. Plenty of your favorite menswear companies — as you’ll see below — are making simple, straightforward, functional apparel, shorts and footwear that stand up to the challenge of extra reps while looking pretty good (all things considered). The Bonobos GoodSport line is one such recent introduction to the category that’s drawn tons of praise, and you’ll get a look at other stylish men’s workout picks below. So, stick with us — there’s something to be said for applying those crucial style upgrades to every category of your life — from that slim casual watch to a cool pair of casual sneakers and on into the gym. Pack up your gym bag and get moving — it’s time to dress in style for the gym. A new introduction from a brand making its first foray into athletic gear — stylish and easily wearable. While there’ve been some concerns as to the price point at which Bonobos is selling its new GoodSport line — Lululemon offers up men’s tees for about $10 less — it’s worth noting that you’re getting that trademark fit and quality for which Bonobos is known … just translated into workout gear. The Core Short Sleeve Tee is nothing fancy, with a simple heather navy color and reliable fit, plus a lack of ostentatious branding found on other workout gear (sans the small logo on the left sleeve). Try it out and let me know what you think, will ya? Note that if it’s chilly outside for your walk from the parking lot, you can add a minimal, clean zip hoodie (yes, those are acceptable in certain situations) and tailored sweats from Fourlaps — find out more on them below. A simple pair of shorts that’s drawn acclaim from publications like Men’s Fitness (as you can see in that photo). Your gym shorts should be as simple, straightforward and reliable as your workout shirt — the Fourlaps Advance Short achieves that objective nicely. 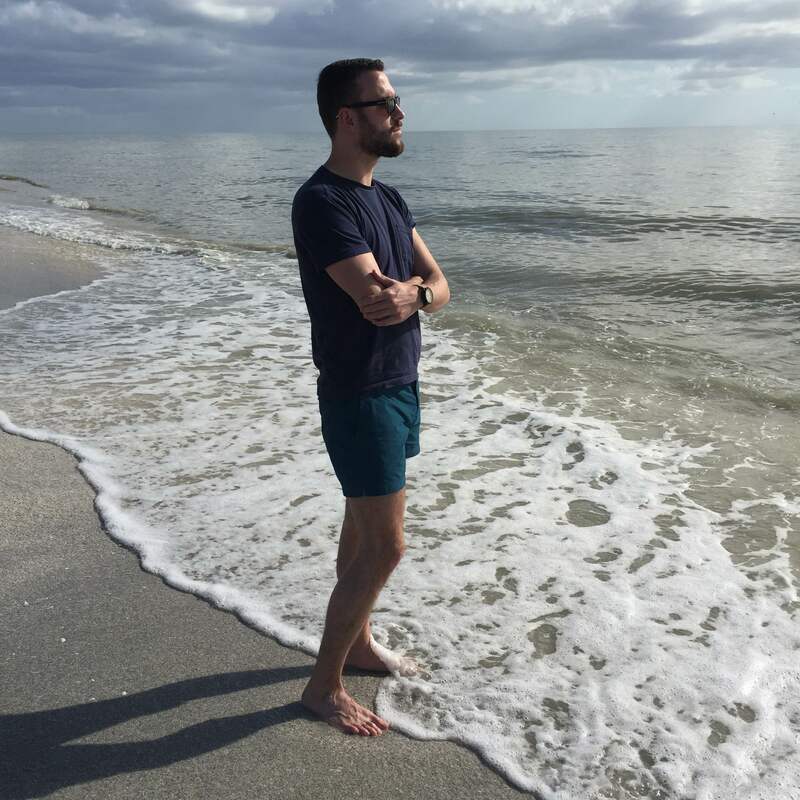 Your author had the chance to test out some of the brand’s gear during a summer trip to Florida, and if this pair of shorts performs like the brand’s Dash Tank, you should be more than set for a productive and good-looking workout session (yes, there’s such a thing). The black color will match easily with your existing gym gear, and it beats wearing bright neon shorts — right? Although it’s important to wear gear on your top half that provides reliable performance, it’s all the more important when it comes to your sneakers. For an extra bit of bounce and some serious spring in your step, Athletic Propulsion Labs sneakers are very, very tough to beat. We’re talking clean, minimal and futuristic looks and technology that’s ahead of the game (there’s a reason the brand’s basketball shoes were banned by the NBA). I had a chance to test out a similar pair of the brand’s shoes on a trip to Italy last summer, and I can’t recommend them highly enough. Neutral, sport-inspired and made with breathable fabric. Just as with your workout tee and shorts, proper athletic socks that still look decent are easy to overlook. Richer Poorer is a big Style Guide favorite, normally known for its no-show socks and more colorful designs — yet they can do a pair of active-minded socks better than one would expect. They’re made with moisture-wicking fabric and a padded footbed, plus breathable ventilation points and some varsity-inspired stripes. That’s performance and style in one — although if you prefer low-cut athletic socks, you could always spring for a basic pack from Under Armour. Not exactly the most fashion-forward timepiece, but it gets the job done. A bit more refined than your average gym bag — that makes it more versatile, though. OK, so the United By Blue Trail Weekender isn’t exactly your classic gym bag, per se. But if finding stylish versatility in a great bag is your main goal, this one can function as your gym bag and a regular weekender (in the same day, one would imagine). It’s made with a water-repellent finish and features leather accents, so it’s certainly classier than an gym bag adorned with athletic logos. It’s also built with a padded laptop sleeve, so you can stow and go to and from work. 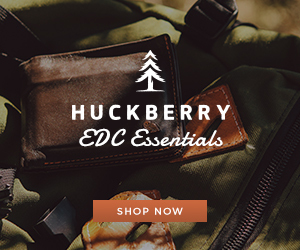 If you want things a bit more segmented, look toward the Novel Duffle from Herschel Supply Co. The biggest key to keep in mind when dressing for the gym is that it certainly comes down to personal preference — there aren’t any fashion police grading your gym garb (no, not even me), and I’d advise you to wear what’s going to get you to your personal goals. If that process involves upgrading your gym gear, we’ve got some great building blocks for you here — be it a better gym shirt, neutral and performance-ready shorts or tremendous Athletic Propulsion Labs sneakers. 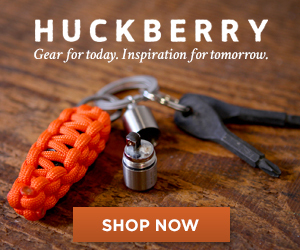 Some of the gear shown here — like that United By Blue Trail Weekender— can be re-tooled for other adventures. And brands like Richer Poorer offer the comfort of a brand you trust, but with a handy performance-related edge. If you’ve got suggestions to upgrade or change this look, let me know on Twitter — or drop us a line in the comments below. September 9, 2016 September 9, 2016 by Beau H.
The last time we spoke, we were heading into an action-packed Labor Day weekend and the start of some serious fall style cravings (oh, and college football season). Well, surprise — it’s a week later, and it doesn’t exactly feel like fall around these parts. We’ll keep looking toward everyone’s favorite menswear season next week, with both a Fall Style Wish List and some rugged men’s shopping picks for the season. For now, we’ve got the shopping picks you need should you still find yourself having to beat the heat — as has been the case for months now, it seems like. Rest assured that we’ve also got a few choice reads to jumpstart what I hope is a weekend of relaxation, menswear, football and craft beer (or are those just my plans?). If you’re trekking to a tailgate, here’s what to wear. If you’re heading to a rock concert, what do you know? Here’s what to wear to a show. And if you just fancy catching up on the week in men’s style news? Read on below. Gushing over these pieces is always fun (if slightly depressing in terms of budgetary constraints) — here are the goods the folks at Well-Spent would buy instead of rent this month. Getting to and from the gym with style in mind isn’t always high-priority — but perhaps it should be. Bonobos just launched its GoodSport line of athletic-minded apparel, and GQ is calling ’em the best-fitting gym shorts on the market. Want more menswear to round out your day? Consider that you’ve got your stylish gym gear from Bonobos sorted — now, grab one of the best gym bags for men as covered by your Style Guide himself at GearMoose. The new fall menswear line from Life/After/Denim is packed with essential pieces — read my latest for The Manual, and see for yourself! We’re signing out until Monday, when we’ll deliver the goods on that fall style wish list — check out Instagram for more style snaps along the way, and enjoy the weekend! June 20, 2016 June 23, 2016 by Beau H.
Editor’s note: For even more seasonal online shopping picks, head this way. Here to help you pick out your ideal pair of summer swimwear. Setter Swim Trunks by Orlebar Brown. Organic cotton pocket tee by United By Blue. Eco-friendly watch by Sprout. Snowdon Sunglasses by Tom Ford. From time to time, nailing the right seasonal style can feel a bit overwhelming. After all, searching for and building off style upgrades isn’t easy. That extends to the little details (as your humble writer so often mentions), and that includes even times when you might feel a bit off-duty. In the case of hot summer weather, that means your swimsuit. 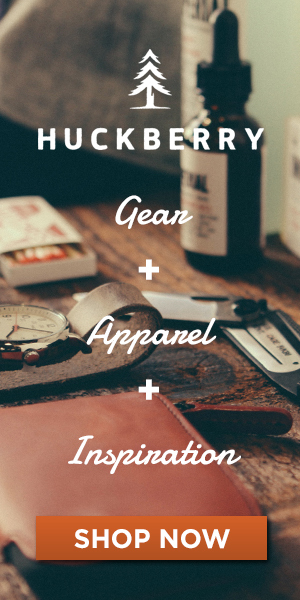 Like a slim T-shirt or a nice pair of shorts, it’s a place that you shouldn’t slack off. Luckily, swimwear has come under the spotlight a lot in recent years, thanks to stylish guys like James Bond himself rocking designer swim trunks (007 body not included). However, my fellow #menswear fan, you don’t have to go that fancy — or that expensive — to get yourself set with essential beach gear. 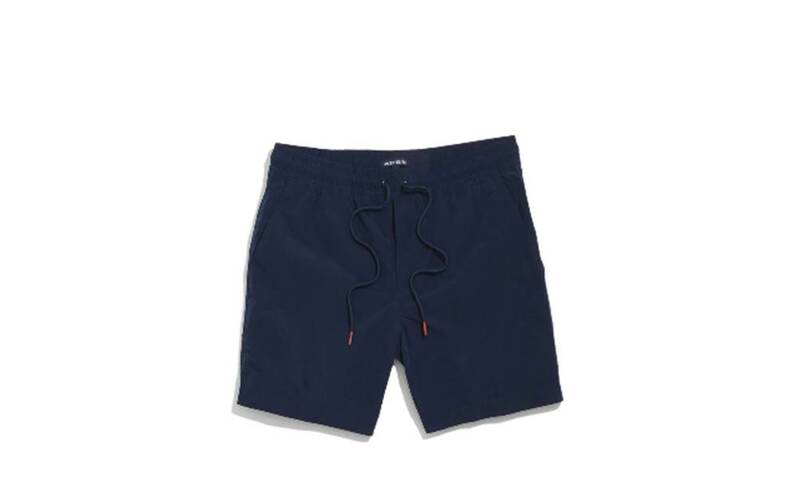 There are swim trunks that strike the right vibe between casual and classy, and a lot of them look more like tailored shorts than in years past. For days when you might hop on a boat and then hop off for a round (or two, or three) at the dockside bar, that’s critical. Pick up a top men’s swimsuit below, and chime in over at The Style Guide’s Facebook page if you’ve got other picks I missed. Surf’s up! 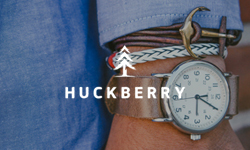 A solid offering from a consistently great brand, at a great price. 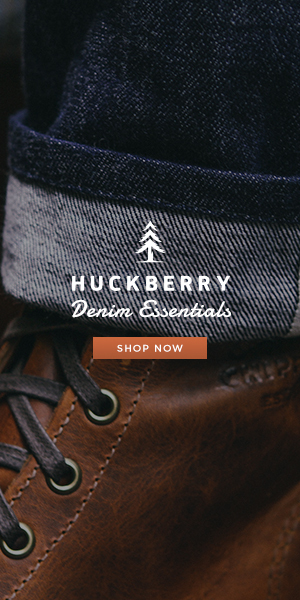 If quality, affordability and style are what you seek, JackThreads has you covered. From its innovative new TryOuts program to the fact that it stocks a plethora of style essentials — from a spring field coat to the stylish swim trunks seen here, they consistently get a lot of things right. These are cut slimmer than normal and should hit about mid-thigh for most of us fellas, which provides a nice, tailored look. The Dress Blues color is versatile enough that these look more like shorts than anything else — see the intro paragraph for how versatile that makes ’em. A longer inseam for us taller guys, plus a sharp blue chambray color. Our second pick here is quite the bump up in price, but definitely worth the investment. In fact, investing in a pair of swim trunks cut in a tailored fit is about the best thing you can do if you want to push yourself to upgrade the rest of your outfit. That is to say, good-bye ratty tank top, hello crisp white polo (as seen in this style suggestion). The nice thing about these trunks is that they’re cut with a 9-inch inseam; while that might be too long for some of us, that’ll hit the spot for others. 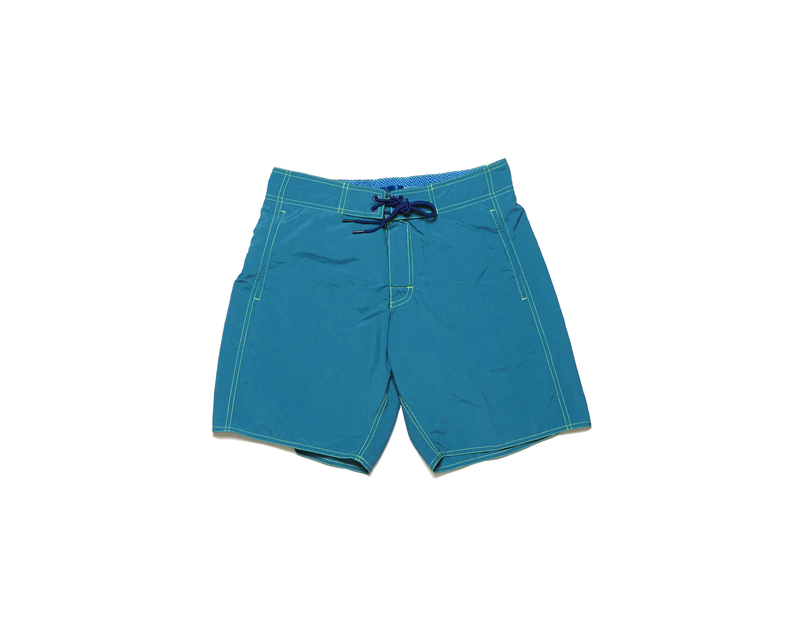 Bonobos also stocks a wide range of other swimwear options, from board shorts to trunks in a range of lengths, so there’s something for everyone. Recreated based off the swim shorts worn by Sean Connery as James Bond, and as sharp as you would expect. Ahh, yes. Here we are — a premium swim short that gives you a crisp, tailored look, yet doesn’t break the bank (compared to the Orlebar Brown trunks sported by Daniel Craig’s Bond). 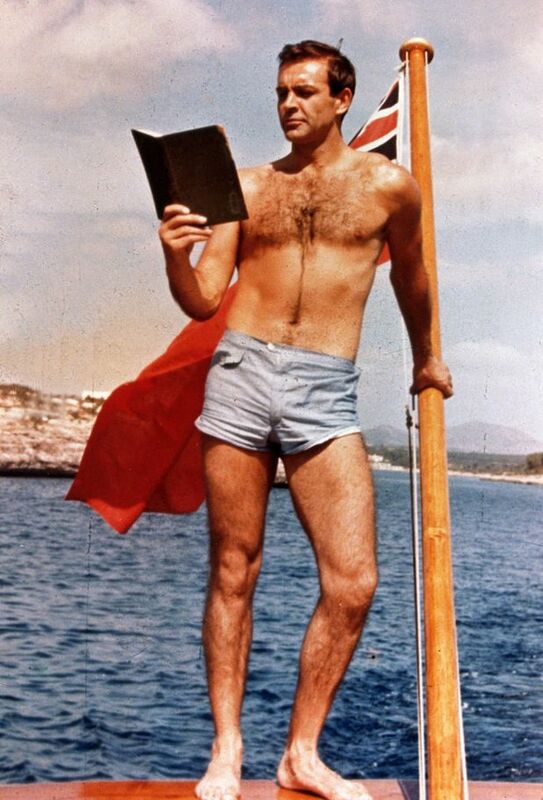 It’s fitting, then, that Sunspel was commissioned in 2011 to do up their own recreation of Sean Connery’s swim trunks as James Bond. 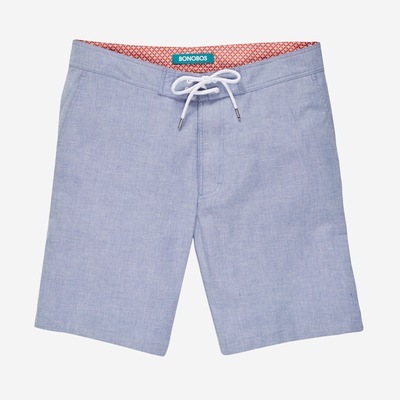 The result is a sharp, lean and tailored pair of swim shorts with a nifty front button pocket and a super-clean waist (not a drawstring in sight — not that drawstrings are bad). 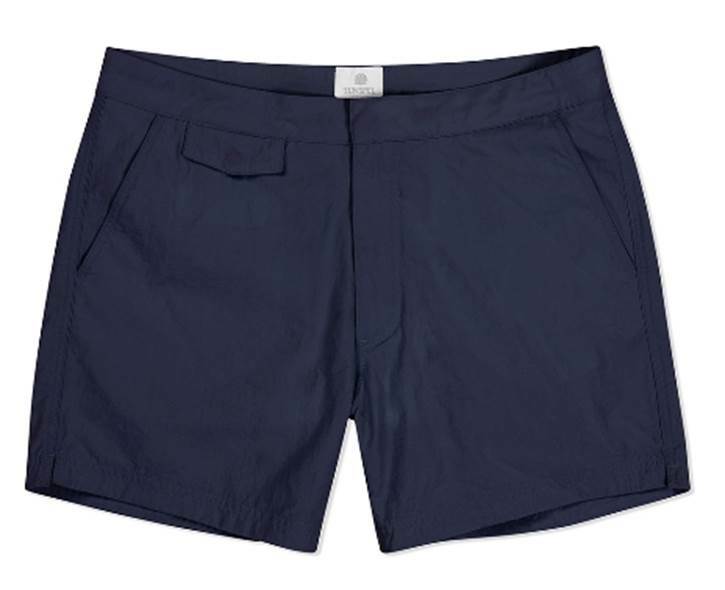 The cost of these Sunspel Swim Shorts will set you back as much as the Bonobos pair above, so why not dive in? Vintage print inspiration makes these fun and functional. 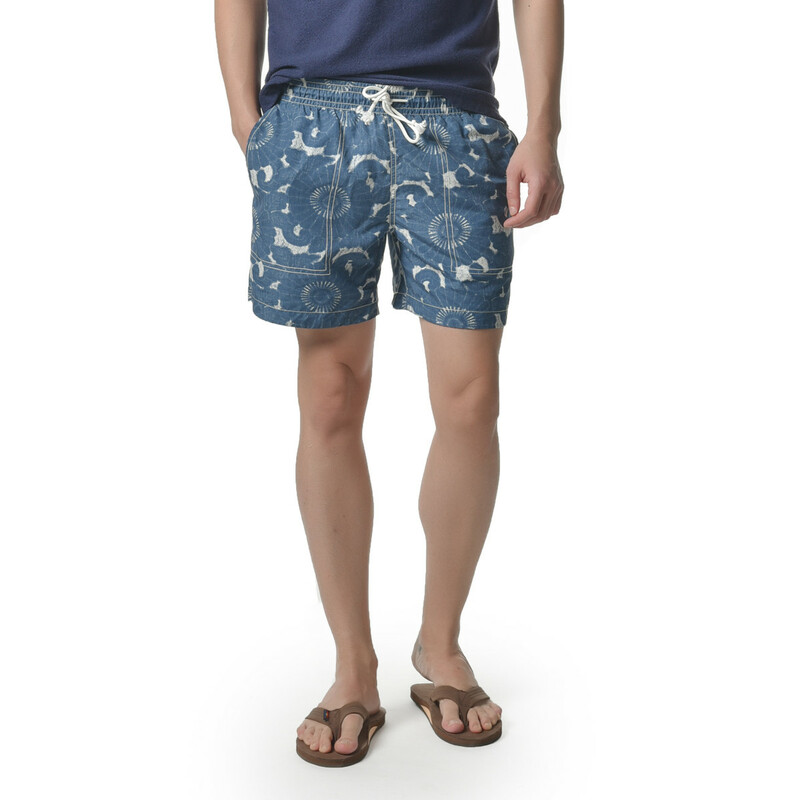 Man, $88 sure is a popular price when it comes to swim trunks, right? For those of us who prefer a little more color and pattern in our trunks (yet won’t compromise on fit), here comes the Grayers Batik Print Swim Trunk, playing off a cool, vintage-inspired print that wouldn’t look out of place alongside a vintage ballcap. 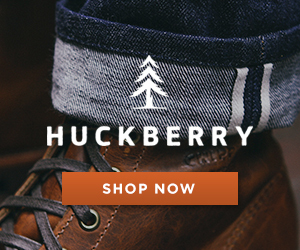 The 7-inch inseam is a solid length that again lends them a tailored look. Everything from a slim navy polo to a short-sleeve Oxford is going to look just right when matched with these swim trunks — nautical gear should be a bit fun, after all. Just don’t forget stylish sunglasses to top it all off. Designer style meets swimwear with these Zachary Prell swim trunks. If you prefer a more premium, minimal take on swimwear, the Zachary Prell St. Giorgio Swim Trunk is the pair for you. Italian fabric means these trunks cost more, but look all the better for it. They’ll again hit above the knee, giving you a bit more coverage if you’re taller. The teal blue color is totally spring and summer-appropriate, and makes them a bit more eye-catching and continental than other swim trunks out there. With a just-right length and versatile color (rock ’em with a white polo to start), they’ll be a reliable workhorse for plenty of trips to the beach. While it can seem daunting at first to carry over great style principles from on land to in the water, it can definitely be done if you know where to start and you know what you’re looking for. Keep in mind classic, reliable brands like J. Crew for solid swimwear, and make sure you know your fit; not too long, not too short (ideally). If you follow the adage that great style is an investment, take your time picking out the right pair, and then wear them again and again with versatile style staples. Let me know what you pick out over on Twitter or catch my summer beach game over on Instagram. Thanks for reading, and stay stylish!